There is more than one artist with this name: synth pop music duo from Australia and alternative rock group from Slovakia. 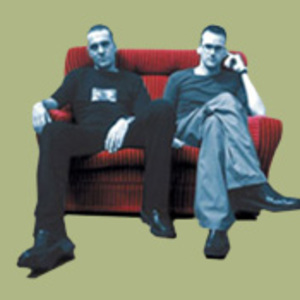 Australian Neuropa Neuropa formed originally in 1992 (then known as Aura before a name change in 1996) when long time friends Jason Last & Albert Martinez decided to bring their broad musical influences together in an exploration of electronic pop. Through long recording & writing sessions they worked on establishing an original interpretation of music. Stylistically covering electro-pop to the melancholy and everything in between. Neuropa formed originally in 1992 (then known as Aura before a name change in 1996) when long time friends Jason Last & Albert Martinez decided to bring their broad musical influences together in an exploration of electronic pop. Through long recording & writing sessions they worked on establishing an original interpretation of music. Stylistically covering electro-pop to the melancholy and everything in between. The emphasis of Neuropa is on creating interesting songs with memorable melodic & lyrical elements, while creating a unique mood, with the obvious use of synthesizers as an expressive tool. Toward mid 1993, 2 Neuropa tracks appeared on a cassette compilation 'This Tech Know Fear', featuring an embrionic version of 'New Faith' & an industrial experiment 'Sent'. The tape was an independant showcase of progressive Sydney techno / rock / industrial & dance acts, forming the Kollectiv. Albert & Jason sought to take Neuropa's sound a step further. Writing & recording began in earnest in 1993, where several tracks 'Secrets', 'Make Our Way' and an electro version of Pete Shelley's 'Homosapien' helped Neuropa to take the stage as a live act, performing throughout Sydney's nightclubs & hotels supporting other electronic artists. 1997 saw the formation of Silicon Underground Records, enabling them to release material and make it available to fans of their music. A full length debut 10 track album "New Faith" was released that year, tracks recorded, produced and written in their studio. Songs ran from the light synth-pop of 'Regrets' & 'Again' to the Darkwave sound of 'Mortality' & 'Tears Flow On'. A Different Drum online CD store began stocking "New Faith" and distributing it to U.S. & European links, at the same time the Synth Pop Network decided to feature Neuropa as 'Band Of The Month'. Later that same year, New York based electronic devotee David Lin formed an exclusively synth-pop label Strangers Thoughts and invited Neuropa to submit a track for his compilation. 'Tears Flow On' was picked out as a favourite and featured on 'Synth-Pop The Next Generation' alongside some very interesting new acts from Europe & the U.S. The band worked very hard on their follow up album 'Sins Of The Heart', which was released in 1999. Some very strong material highlighted this CD, seeing Neuropa come into their own as songwriters & producers of quality electronic pop. An increase in radio play both overseas and locally made this album one of their most popular to date. Towards the end of that year, Todd Durrant from U.S. label A Different Drum offered Neuropa a label contract for a new album. While the band wrote new material Todd suggested they release a remix album of tracks from their previous two albums. The result of this was Alternate Faith released in 2000, which included mixes by such well known electronic artists as Neuroactive, The Nine, Count To Infinity and B!Machine. It also saw the band embard on their first overseas tour, covering the East Coast of the United States to a very excited response from fans. Upon returning to Australia, Neuropa began working on their 2001 album release Beyond Here And Now. The album featured some of their strongest material to date, showing a definite maturity of production and songwriting by the pair. The album stayed on the ADD top 20 list for over 3 months and is still selling strong. Two singles were released from this album including remixes by Iris, Wave In Head and Count To Infinity. Neuropa was founded by Michal Kascak from Bez ladu a skladu.